Blue Ivy: Responsible for Naming Beyonce's Twins?! by Emily Trainham at June 21, 2017 12:57 pm . Oh, what a glorious time to be alive! Sure, there's a whole lot of horrible stuff happening all around the world, and it seems like we're turning the earth one great big dumpster fire, but Beyonce had babies! Two babies, in fact -- but you already know that. There's a solid chance you've been able to think about nothing else since the news broke over the weekend. Beyonce gave birth to twins early last week, and according to several reports, one baby is a girl and the other is a boy. As far as we know, those precious little angels are still in the hospital because of a "minor" health issue -- most likely jaundice. We've heard that they're "under the lights," which everyone is assuming means they're spending time in those little incubators until their liver functions sort themselves out. It sounds scary, but it's normal. And just in case, Beyonce is reportedly keeping them company by staying in the hospital with them. It all just sounds so sweet and lovely and magical, doesn't it? If you agree, then it's your lucky day -- a new report from Hollywood Life is just amping up the magic! 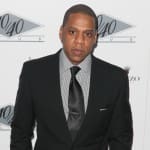 A Beyonce insider is saying that the first Carter kid, five-year-old Blue Ivy, is really, really loving these new babies. "Blue Ivy is relishing the role as new big sister," the source says. "She has been keeping mommy company in the hospital and has even helped in the naming process of her new siblings." It's actually so sweet it'll rot your face off. You know, because sweet stuff rots your teeth? But it's extra sweet, so it rots your whole entire face? Oh, who has time for science?! BEYONCE JUST HAD TWO BABIES. The source adds that "Blue is happy and can't wait to take the new babies home to play with." Did you hear that sound? That was the sound of millions of ovaries exploding all across the world ... followed by the sound of millions of people growing ovaries just so they could explode at this cuteness. Beyonce just has that power, you know? When we first heard the news that Beyonce was pregnant with twins, a lot of jokes were made about Blue Ivy and how upset she may be about the idea of no longer being an only child. You know, now her inheritance will be split three ways instead of it all just going to her, the Bey magic that was given to her in birth will now be in two others. But thankfully, it looks like that's not the case. Blue Ivy is just a kid who's super pumped that her parents gave her two more kids to play with. 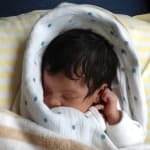 Blue Ivy Carter Pics: What a Cutie!